Writer friends, the McLoughlin household is healthy and happy and ready to head into Q2 2019 and I wish the same for you! I am still blessed to be able to work from home proofreading, blogging, writing articles, and writing books and to be able to do it in my sweatpants or swimsuit, out on the deck or at the dining room table, at my house or traveling with my kids and husband for his work to places like Wyoming, Arizona, Texas, Chicago, Florida and more. First quarter 2019 went well. We had a lot of snow days, so I was able to pick up extra proofreading jobs. I didn't have time to focus on the creation of more books, but I did still work a bit on the Busy Parents on the Go Cookbook and Homeschooling with Less Stress and More Fun. Articles took a backseat. Homeschooling, proofreading, and running a household took priority this quarter. We'll see what 2Q2019 brings. See you back here in July! 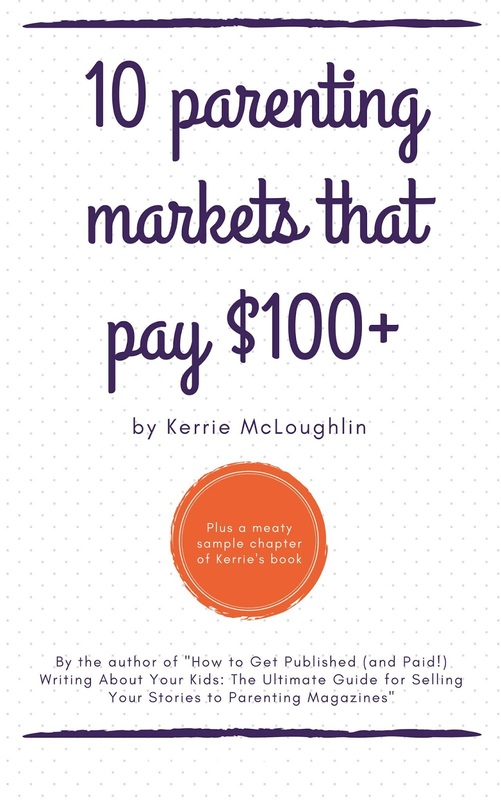 Sign up for an email subscription to The Published Parent and get two amazing freebies: 10 Parenting Markets That Pay $100+ and 10 Markets That Pay Writers to Write About Writing! And join my Facebook group called Parenting Magazine Writers ... it's FREE and full of tips and tricks and markets and like-minded writer friends! I am thrilled to announce the NYT Parenting newsletter! For the next month or so, we'll be publishing the newsletter and a handful of articles each week. Then in early May, we will launch a beautiful, robust website. We'll be covering fertility and pregnancy up through kids age 5 or 6 and your lives with them, and giving you evidence-based guidance, news, and personal stories every day. It is my sincerest hope that the site will prevent you from a panicked 3 am google that lands you on a BabyCenter message board telling you that crystals and essential oils will heal your baby's rickets. 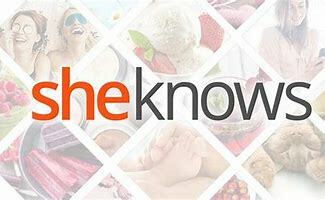 The full site launches in May. Rates depend on the type of piece. 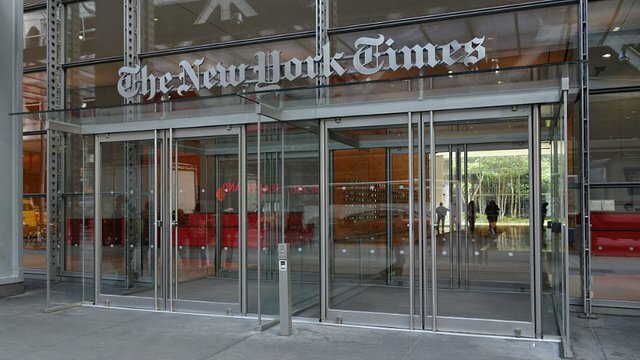 Modeled after what the Times did with NYTCooking, NYTParenting will be a robust section of the Times website (parenting.nytimes.com) with new and archival content, and a newsletter. NYTParenting is set to launch over Spring 2019. We will mostly cover topics ranging from fertility and pregnancy to kids through ages 5 or 6, but we'll also be doing a lot of coverage on issues that affect parents of young children. 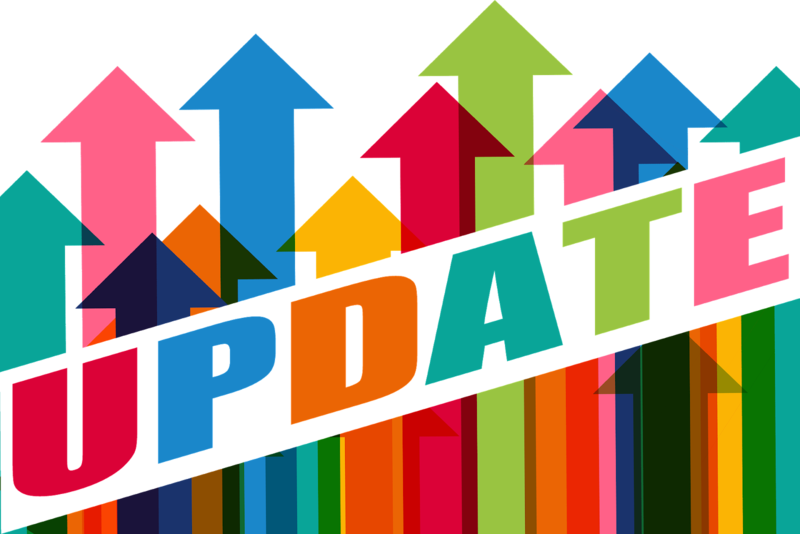 We will have articles and essays, as well as guides — which are a content form with a specific structure and which are meant to answer thorny parenting problems in a service-y, research-backed way. For now, we’re mostly coming up with ideas for guides in house. • We are for parents who want evidence-based solutions to problems with their kids or with their own lives. We recognize that you had a baby — not a lobotomy. Your wants and needs still matter. • We are for mothers AND fathers. Almost all parenting products are explicitly or implicitly gendered. Through design, editorial choices and framing, we will not be. We recognize that every family is different, and we are mindful of that. Essays and articles in the 1,000-1,200 word range. For articles, we're looking for timely ideas, whether they're cultural or trendy (What's the next baby shark? Why is everyone feeding their kid European formula? ), based on new studies and how they affect parents (Are you really supposed to monitor your kid while they brush their teeth til they're 8? ), or second-day stories on news events (How does family separation affect brain development?). The Hardest Part will be a series of essays about the parts of parenting that you’ve found to be the most unexpectedly difficult, and how you worked through them (or didn't). The tone can be as serious or as funny as the subject matter requires. It can be as straightforward as, "The hardest part of parenting is dealing with my kids during the winter," or "The hardest part of parenting is handling my kid's severe allergies," or as esoteric as, "The hardest part of parenting is how emotionally spent I feel at the end of each day." 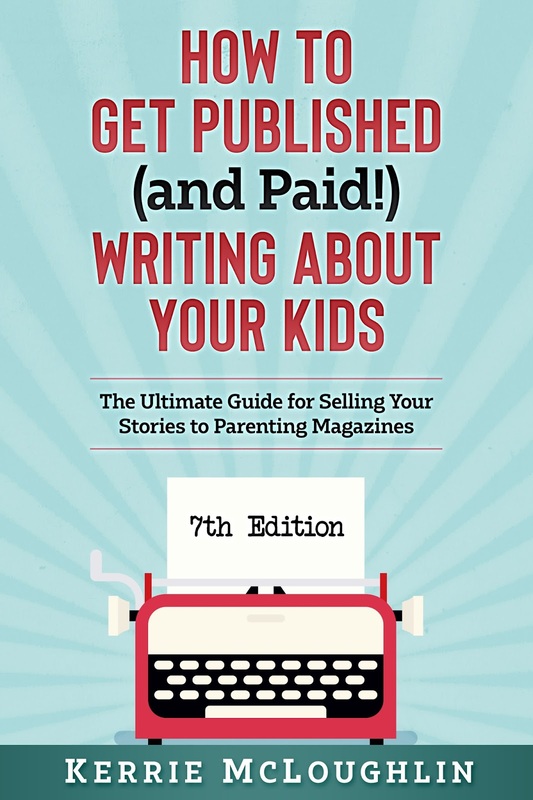 How to Get Published (and Paid!) 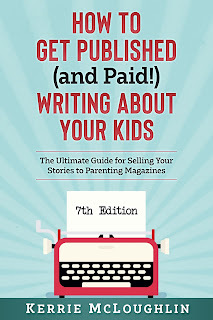 Writing About Your Kids: The Ultimate Guide for Selling Your Stories to Parenting Magazines will change your writing life! 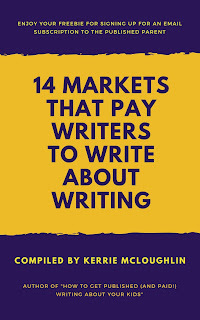 The 7th edition of this invaluable resource that has already helped so many writers get published includes information on how to get started selling your original and reprint articles and essays. 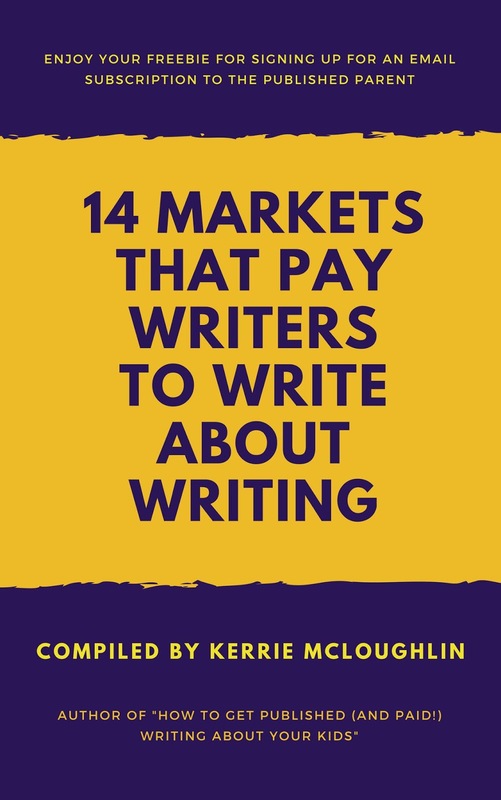 It goes on to cover everything related to writing for this market, including keeping good records, setting up a freelance writer website, invoicing, and so much more. Then comes the best part: the 384 paying markets. Writing success is waiting for you! Check out more about the book, including reviews, here. FULLY UPDATED with recipe descriptions/stories and meal planning advice in general plus more desserts and a new tater tot recipe! 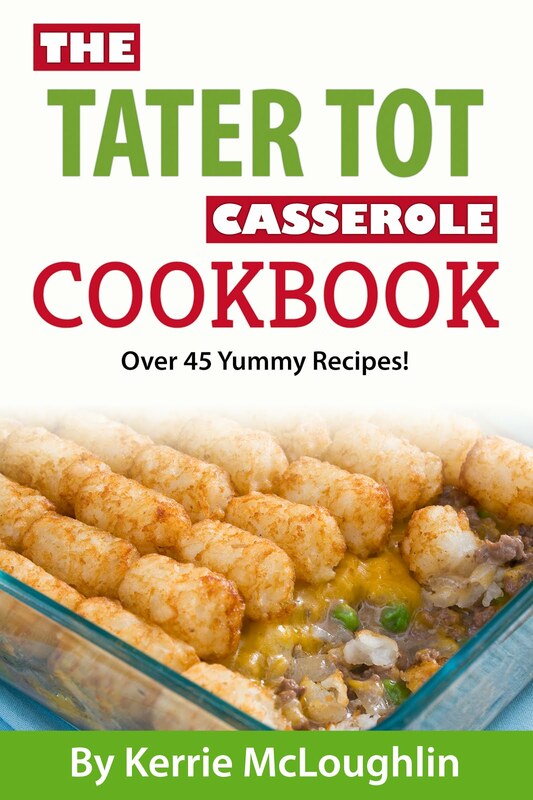 What could be better than 35 tater tot casserole recipes all in one place? 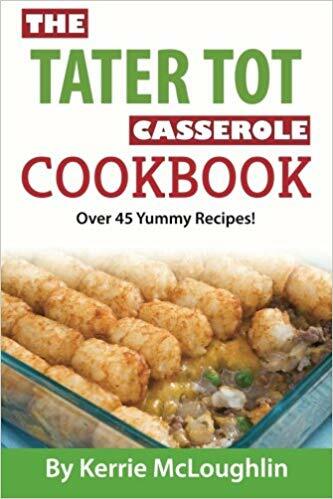 In addition to the naughty versions like Bacon Ranch, Fully Loaded, Buffalo Bleu Cheese, Chicken Alfredo and all sorts of other happy deliciousness, this amazing cookbook also contains dairy-free, skinny, gluten-free and vegetarian options for those times you want to (or have to!) eat in a more healthy manner! 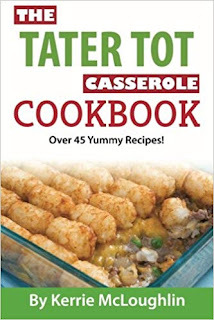 And of course you have to top off a tater tot casserole meal with one of the 13 bonus easy dessert recipes, including Chocolate Suicide, Tutu's Chocolate Stars, Mock Apple Pie and Heavenly Sinful Bars. Your family will love you for this! These recipes will have your family asking for seconds! P.S. Make it for dinner, then heat it up in a pan with scrambled eggs in the morning for leftover delight! 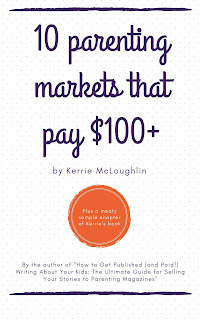 Head to Amazon here to purchase the ebook or print version. Buy the book in print! Get published! Make money! Curious Parents: 7/16/17 seems to no longer be publishing. Volusia/Flagler/St. John's can be found here now. Growing Up Roseville (sister to Growing Up Chico) ... pays $35 reprints for each publication. 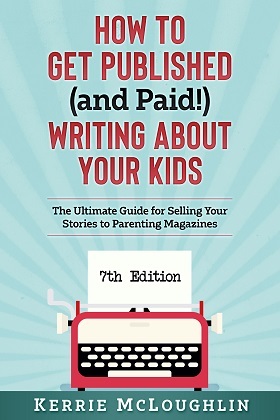 Writers are reporting $35 per reprint per publication. Self-Sufficient Kids pays $75 per article (1,250 words long) and their guidelines can be found here. Utah Family: They used my pieces without permission and then did not pay. I have heard from several writers about this as well. I’m not going to recommend a magazine that does business this way. Valley Parent Oregon: They have used my pieces without permission and then did not pay. Writer friends, the McLoughlin household is healthy and happy and ready to start 2019 and I wish the same for you! I am still blessed to be able to work from home proofreading, blogging, writing articles and writing books and to be able to do it in my sweatpants or swimsuit, out on the deck or at the dining room table, at my house or traveling with my kids and husband for his work to places like Wyoming, Arizona, Texas, Chicago, Florida and more. I do not have income for the entire year because my laptop died in May and I have yet to get the figures off of that. Better do that before tax time!